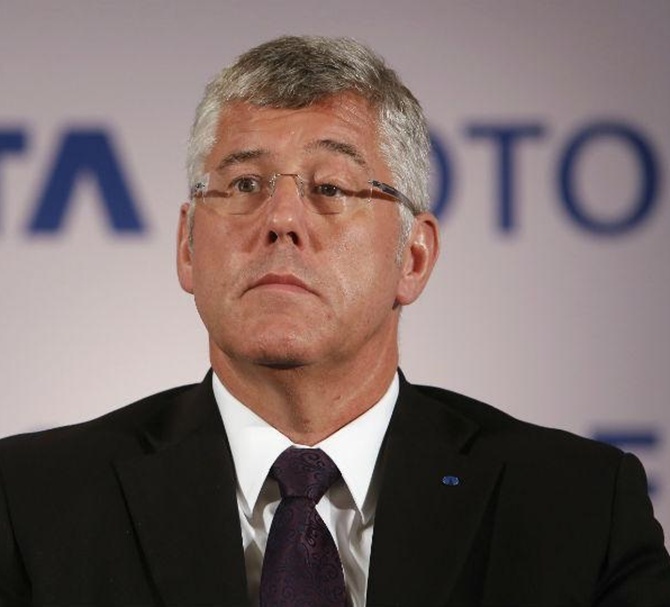 Rediff.com » Business » Did Tata Motors MD commit suicide? 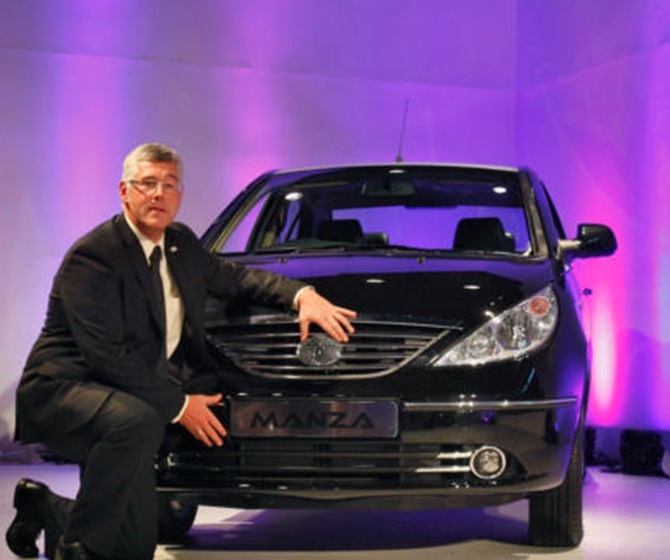 Did Tata Motors MD commit suicide? Karl Slym, managing director of India's Tata Motors Ltd, died after falling from a hotel room in Bangkok in what police said on Monday could be possible suicide. Slym, 51, had attended a board meeting of Tata's Thailand unit in the Thai capital and was staying with his wife in a room on the 22nd floor of the Shangri-La hotel. Hotel staff found his body on Sunday on the fourth floor, which juts out above lower floors. "We didn't find any sign of a struggle," Police Lieutenant Somyot Boonyakaew, who is heading the investigation, told Reuters. "We found a window open. The window was very small so it was not possible that he would have slipped. He would have had to climb through the window to fall out because he was a big man. From my initial investigation we believe he jumped." The police found a three-page note, written in English, which they were translating into Thai. An autopsy on Slym's body should begin on Monday. 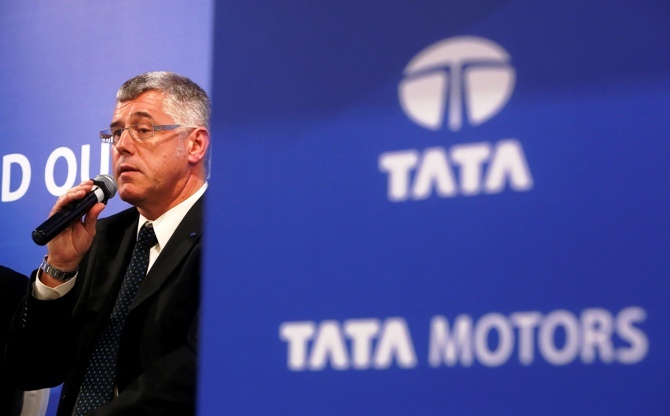 A spokeswoman for Tata Motors, India's biggest automaker, declined to comment on the possible cause of Slym's death. A company statement on Sunday said Slym had provided leadership in a challenging market environment. Slym, a British national, was hired in 2012 to revive Tata's flagging sales and market share in India. Tata Motors is part of the Tata conglomerate. "His death comes at a time when the company seems to be close to turning the corner," said Anil Sharma, an analyst with researchers IHS Automotive. "It comes before his efforts bear fruit. We should be able to see the results in a year or two." Tata Motors recently introduced a new petrol engine for its passenger vehicles and was planning to launch a hatchback and compact sedan this year, the first all-new Tata-branded passenger vehicles since 2010. Slym led the automaker's operations in India and international markets including South Korea, Thailand and South Africa, but he did not look after the Jaguar and Land Rover (JLR) luxury unit that Tata Motors acquired in 2008. The Thai police said they were called to the Shangri-La hotel around 7:45 a.m. on Sunday after staff found Slym's body. They woke up Slym's wife, who looked shocked when she was told what had happened to her husband. Tata Motors had lost traction in the Indian passenger vehicle market as domestic and foreign rivals rolled out new models while it mostly tweaked existing models and offered heavy price discounts. The firm has not had a hit car at home since 1998. Sales of the Nano, the world's cheapest car which it unveiled in 2008, have been lacklustre. Before joining Tatar Motors, Slym was executive vice president of SGMW Motors, China, a General Motors joint venture. Before that he had headed General Motors in India.